Reading a journalist's report over politics is one thing. Joe's 'non-journalistic-view' is another. MY OPINION...I could care less whether or not his reports stands up to a journalist's standards. My comment was not meant to start a debate on whether or not I should post on this thread. Some people have too much time on their hands....why bother looking up the crud and reading it, if you are so set against it???? I know I won't....and I could care less what he does with his life. 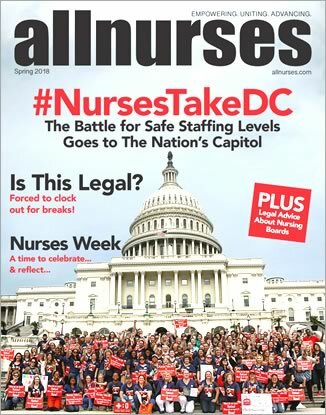 This country is in dire need of Nurses, but would it be wrong for me to become a journalist? I'm not sure what the big deal is. He is 'an average Joe' who got a chance to change his life! I could care less what Joe does with his life. lol I guess I'd say, "More power to ya, Joe." Maybe this was the flicker of fame he needed to change his life. Maybe he always wanted to be a journalist. Maybe he always wanted to go to Israel. I pray for his safety, and all other journalists.....educated for the position or not. I'm sorry to read this. My prayers for the family that time will heal the pain. I read them, when I have a paper. I usually read the news online now, but if we are at a coffee shop, then yes, it's a must. I look to see if I know anyone...from high school, working in the medical field, etc. I also like to read the long ones and the young ones. The long for the life bio...very interesting usually, and the young ones out of a sadness of course, but also curiosity on how such a young life was taken. :( "If you look in the obit, and you aren't in it, IT'S A GOOD DAY!"